Trigger Point Dry Needling is a technique that can help to manage your pain symptoms. It is a technique used to treat trigger points using solid filament needles. There is a growing amount of research which supports this technique in treating a number of musculoskeletal conditions. Dry needling is great for any form of muscular pain, and works especially well for sports injuries, lower back pain, shoulder injuries, inflammation arthritic pain. 1. What are trigger points? Trigger points are tight irritable areas within your muscles, what many of us call “muscle knots.” They may start from a specific injury or repetitive stresses. Trigger points do not get enough blood flow (ischemia) or oxygen (hypoxia) because of the tight contraction in the muscle and can lead to poor muscle activation and limited range of motion. Inserting the needle creates mechanical, chemical, and neurophysiological changes in the muscle. 3. How is it different than acupuncture? While both techniques use the same type of filament needles, they have different goals. 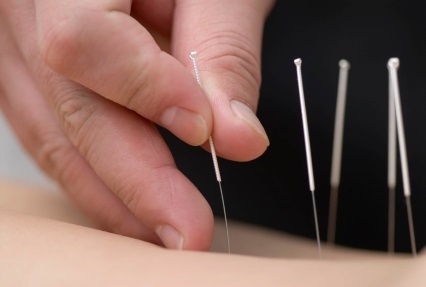 Acupuncture is a Traditional Chinese Medicine technique with a goal of balancing energy flow through the body’s meridians. Trigger point dry needling is a Western medicine technique which specifically treats trigger points and associated symptoms.